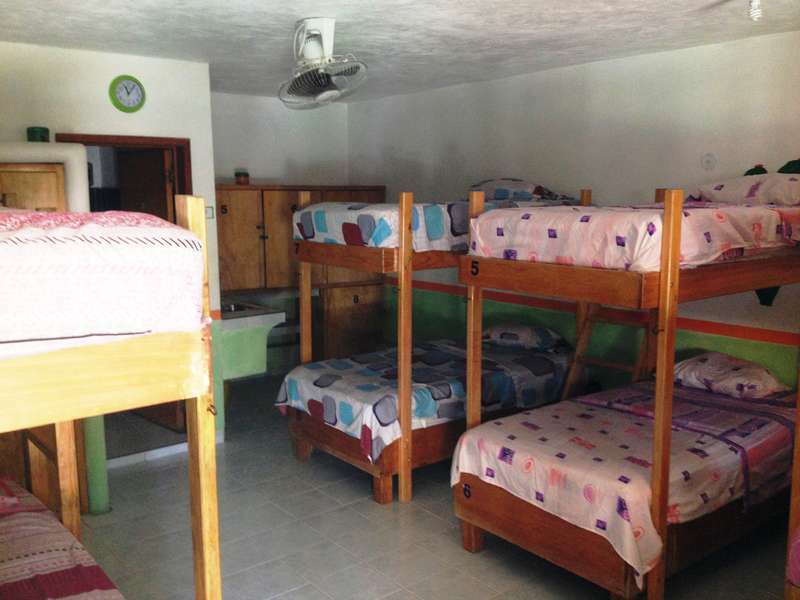 Set in a large tropical fruit garden just 5 city blocks from the turquoise Caribbean ocean Cozumel is famous for, Amigos Hostel Cozumel, has 2 large dorm rooms each for max of 8 people. Each dorm room has private BR with H/C water shower, separate second sink outside the bath, offers during May to October from 10 pm to 8 am, AC at night. Ceiling fans and standing fans offer nice refreshing breezes all times. Bed sheets, pillows and blankets provided free of charge. Bath towels available for rental. The communal palapa has a complete kitchen for all your cooking and eating needs, a TV with Dish channels, and FREE Wi Fi service. Large pool table, family board games, darts, croquet set up, and many DVD/VHS family movies available free of charge for your entertainment. The large swimming pool is refreshing after a day snorkeling or diving. Scuba diving and snorkeling trips arranged. Snorkel gear available at the hostel for rental. Welcome briefing or “orientation” to Cozumel given by well informed staff makes time here on Cozumel at Amigo’s a great experience. All sorts of vehicle rentals arranged, from bicycles to old VW bug! Separate smoking area available in the large garden with a BBQ grill. 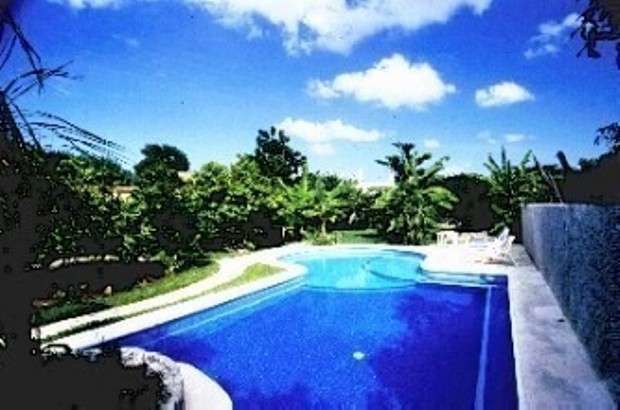 The neighborhood where Amigos Hostel is located is a residential neighborhood part of the original quadrant of San Miguel de Cozumel or “Cozumel” five city blocks from the turquoise Caribbean Cozumel is known for. Walking: head south on Main Ave R. Melgar till reach Calle 7 sur ( post office Correos de Mexico on corner) turn left and head inland 5.5 city blocks to reach Amigos Hostel. Via Taxi: tell driver “Amigos Hostel Calle 7 Sur entre. Ave 25 & 30 col.Centro” approx. Cost 40 pesos. Directions from Cozumel Airport: depart airport area passing golindrina bird statue taking Airport Blvd west to Av 30 ( traffic circle/ VW dealership) make left here and head south on Ave 30 till Calle 7 sur. At Calle 7 sur, turn right. Amigos Hostel is half block down street right hand side of road. Calle 7 Sur # 571 x Ave 25 & 30 col. Centro Large Yellow wall with dark green details. Cancellations less than 48 hours from arrival date will be charged the one night fee , no show will also be charged one night fee. A valid passport or an official ID with a photo will be required at check in. 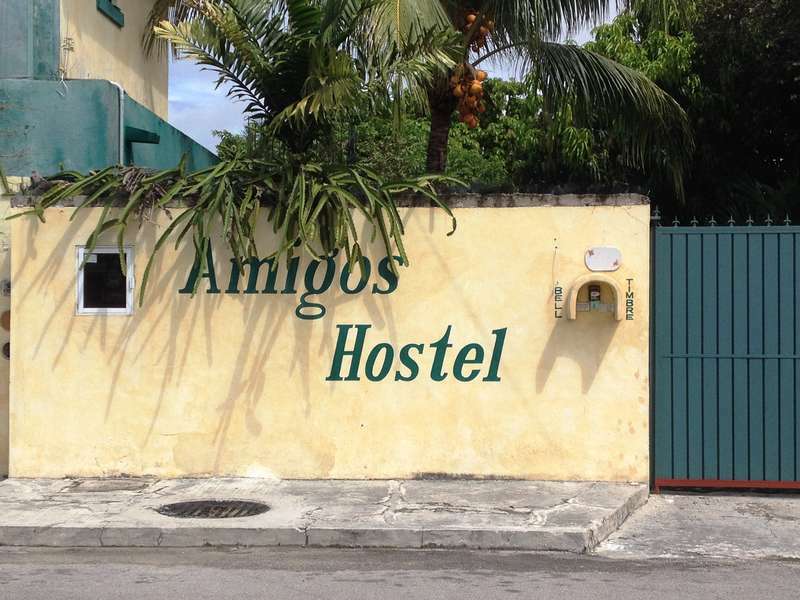 Amigos is not a party hostel as most folks are here on Cozumel to enjoy the underwater world that surrounds our beautiful island, either snorkeling, scuba diving or taking a glass bottom boat. This is the reason Cozumel is not known as a real party place. Active recycling program on going that we hope you will honor.